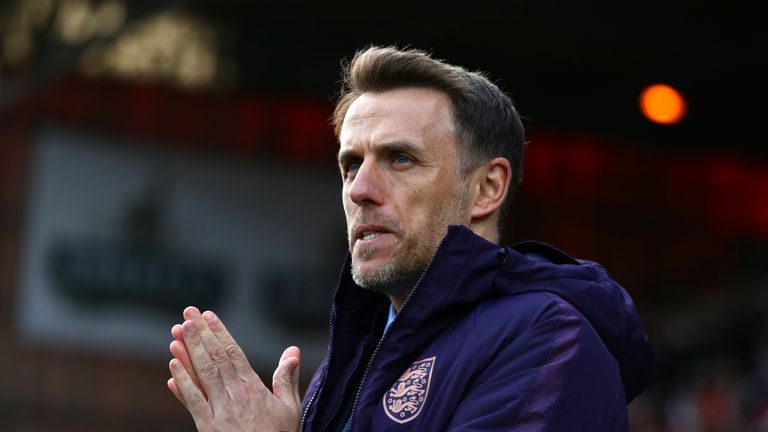 Neville sees England Women beat Spain and says: "I have got to say that going into the World Cup now, we fear nobody"
England manager Phil Neville says he wanted to see his players "suffer" in Tuesday's win over Spain in order to prepare them for this summer's Women's World Cup. Beth Mead gave the Lionesses the half-time lead, before Ellen White fired in the second just after the restart. 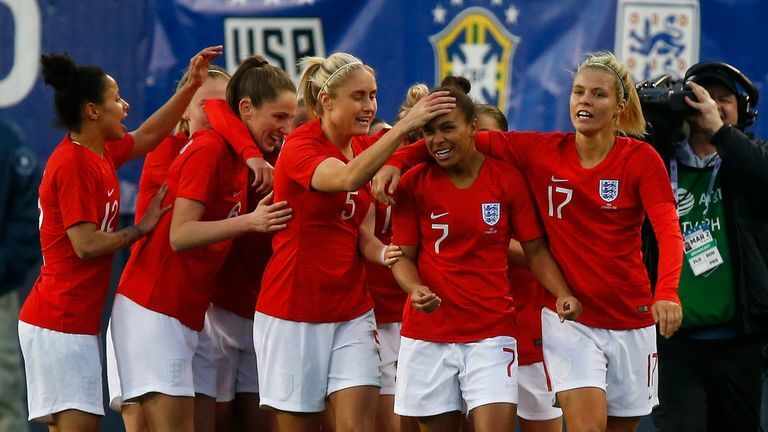 Spain pulled one back through Aitana Bonmati, but England held on for the remainder of the game to seal a 2-1 victory at Swindon's County Ground. Neville made plenty of changes to his team following Friday's 1-0 defeat to Canada, and claims he did it to present his players with the challenge of coping with Spain, ranked 13th in the world. Speaking to Sky Sports, Neville said: "I wanted us to dig in, I wanted us to suffer because to win things in life you have to suffer sometimes, and my players suffered in the second half. "For us to do well at a World Cup, there are games when we have to dig in and block shots - that is what I wanted to see and I just said to them that I thought they could have done it better, the next step is to dig in but show composure as well. "My players were stretched and it was quite fun watching them outside of their comfort zone, shattered and running from side to side, it was a really good workout that went exactly how I wanted it to." The England boss says his team are fully prepared ahead of the World Cup and do not fear any other team in the competition which starts with their opener against Scotland in Nice on Sunday, June 9. He said: "We have posed different problems to them, changing teams, rotation of players, playing in different positions and they have answered it all. "It was all part of the plan we had 12 months ago, that there was going to be stages when we would offer them changes, and scenarios, that we were going to get in the World Cup. "We have played 10 out of the top 12 teams in the world and done well against every single one of them. "I have got to say that going into the World Cup now and we fear nobody. "We've played some them, we've beat some of them and lost to some of them and drawn. "Along the way we have been brave in our decisions to play football a certain way, to rotate the team, and to provide opportunities for 28 to 30 brilliant female footballers."